Acid reflux disease is a condition that often results when a valve located at the end of the esophagus malfunctions. When this valve relaxes inappropriately, it may allow stomach acid to splash up and irritate the lining of the esophagus, creating the sensation called heartburn, and other uncomfortable symptoms. 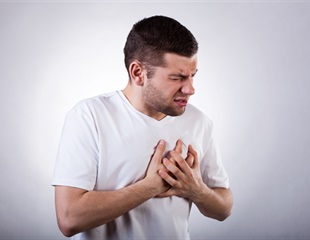 Frequent, persistent heartburn is the primary symptom associated with acid reflux disease or GERD. Researchers have launched a clinical trial to develop a breath test, analyzing molecules that could indicate the presence of cancer at an early stage. Researchers are working towards understanding how use of certain regularly used prescription drugs could be raising the risk of getting depression. The study was published yesterday in the latest issue of the Journal of the American Medical Association. Cells begin to accumulate centrosomes-;organelles that play a vital role during cell division-;before they transform into cancer cells, according to a new study of patients with Barrett's esophagus condition, which is associated with esophageal cancer. Acid reflux was associated with cancer of the respiratory and upper digestive tracts in older adults. Consider it America’s other prescription drug epidemic. For decades, experts have warned that older Americans are taking too many unnecessary drugs, often prescribed by multiple doctors, for dubious or unknown reasons. A recent analysis has linked certain medications commonly used to treat heartburn, acid reflux, and ulcers with the development of kidney disease. The findings will be presented at ASN Kidney Week 2017 October 31–November 5 at the Ernest N. Morial Convention Center in New Orleans, LA. A new study published in the online journal Gut suggested that the prolonged use of proton pump inhibitors (PPIs) that are mainly utilized in treating acid reflux is associated with more than a two-fold increase in the risk of gastric cancer. Columbia University Medical Center researchers have identified cells in the upper digestive tract that can give rise to Barrett's esophagus, a precursor to esophageal cancer. The discovery of this "cell of origin" promises to accelerate the development of more precise screening tools and therapies for Barrett's esophagus and esophageal adenocarcinoma, the fastest growing form of cancer in the U.S. Approximately 10 percent of the general population take a proton pump inhibitor (PPI) drug to block stomach acid secretions and relieve symptoms of frequent heartburn, acid reflux and gastroesophageal reflux disease. Proton pump inhibitors (PPIs)—medications commonly used to treat heartburn, acid reflux, and ulcers—have been linked with potentially serious side effects including a possible increased risk of bone fractures. Experts from United European Gastroenterology (UEG), presenting at the European Digestive Cancer Days Conference in Prague today, are calling on European governments to focus their efforts on developing early diagnosis techniques, in order to save thousands of lives from digestive cancers including a more targeted approach to ensure at risk patients don’t ‘slip through the early-detection net’. Geriatrics experts know that certain medications may have risks for older adults that outweigh their benefits, especially when safer alternatives are available. Proton pump inhibitors (PPIs) are one of the commonest agents prescribed for heart burn or acid reflux. These agents are available for purchase over-the-counter making them one of the most commonly used drugs that make around $10 billion in annual sales. PPIs work by reducing the production of the gastric acids in the stomach. There are several known risks associated with PPI use including complete stoppage of gastric acid production, risk of pneumonia, kidney disorders, bone fractures such as hip fractures etc.